"Kim was recommended by a friend who purchased a home with her,they were so satisfied with her service that we felt compelled to have her as our agent for the purchase of our home. Kim has the personality that makes you feel so comfortable,is very knowledgeable of the housing market , is up front and honest with all phases of the process. We were totally pleased with our purchase and the professional service that Kim provided. We would recommend Kim to anyone needing professional real estate services." 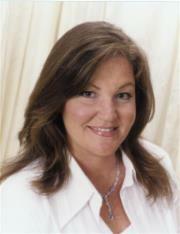 "Kim D'Addario helped me sell my home back in 2007. I did not think this home would sell and did not think it would sell for what I needed it to sell for, but she stuck it out with me untill the end. We sold the house quickly and closing went very smoothly. I do not believe any other agent could have gone through this process with me as it was not an easy sell. Kim worked very hard hard me and never once complained or lost her patience with me. Then, I called upon her again to help me buy another house. WOW, she was right there! Again, this was no easy task. It took two and a half years. Kim was right there every time a mortgage fell through or a house was taken right out from under us. She was very calming to us and told us you just need to keep plugging on! When we finally found "the house" Kim and I both knew this was it! Again, problem after problem with getting the mortgage and she never stopped helping me. Even when I said I don't think I can keep going through this she waould call and talk to me and say look this is your home. You and your family knew it when you walked in the door lets fight for it! To tell you the truth if I didn't trust and amire her as much as I do I would have just said forget it. The end of my story is we have a home that we have made our own and we love it. When you are sitting at the dinner table and one of your children looks around and says it feels like we have alway's lived here you know it was all worth it! I have recommed Kim D'Addario many times and will continue to." "Kim is a wonderful agent. I would use her again. She is very helpful and knowledgeable. Kim gets the house you want or need to sell." "I just read Kim's reviews, and don't know if I have anything else to say, except that she obviously makes everyone feel extremely special. This quality makes HER extremely special. Besides all the stuff about knowledge, attention, reliability, honesty, etc, which are vitally important, I can truly say that she is someone I would choose as a friend. I was almost disappointed when our search for the perfect house stopped when we found it, because I knew my almost-daily contact with her would be coming to a close. Don't want to sound philosophical, but out paths will cross again some time, having nothing to do with real estate. Kim is a gem in both her personal and professional life." "Kim is an excellent realtor. She goes above and beyond for her clients. Kim sold my home in less then 4 months and found our new home. She was always available to answer any questions and has extensive knowledge on the entire processes. I would never use a different realtor."